To celebrate Fairtrade at 20 we asked Harriet Lamb, Chief Executive at Fairtrade International, to share her thoughts for the future of Fairtrade in a special guest blog for fairandfunky. “As I sit to write this, my legs are still aching from marching round London on the loud and colourful demonstration calling on world leaders to act on climate change. I went in the name of the producers in Fairtrade, for whom this has become a top issue. Producer groups that were well-organised and doing well have been thrown back down. Some farmers report that harvests are reduced by as much as 40%, others have seen their farms destroyed by hurricanes or mudslides. It’s as if they are part of a giant game of snakes and ladders. Every time they make progress, a new development tests their resilience. Sometimes it feels like this within Fairtrade. Everything is unpredictable. There are the highs: the producers whose eyes shine as they speak poetically of the changes they are making in their communities; the statistics that show that sales rose globally by 15% last year revealing the depth of public support despite the recession; the creativity of people like fairandfunky working with schools and offering treats such as Grumpy Mule coffee, olive oil from Palestine, or Liberation peanut butter! It is so frustrating when farmers are knocking at the door and we cannot increase sales enough to reach more, or to have a greater impact for those already within Fairtrade. Over the past twenty years, Fairtrade in the UK has flown. Gone are the days when the concept was laughingly dismissed as the concern of ‘yoghurt-weaving vicars’. Then the prospect of people paying more for their food to benefit disadvantaged farmers was right off the radar of mainstream businesses and shoppers alike. There we were with three products: Maya Gold chocolate from Green & Blacks, Clipper Tea and Cafédirect coffee; with hope in our optimistic hearts but the whole world to convince. We were on a mission to create the living alternative – to show that trade could be economically viable, benefit those of us in the global North and give a better deal to those in developing countries dealing with a desperately unfair, punitive trading system. We never imagined that one in three bananas purchased in the UK would carry our cheery blue and green Mark, or a quarter of all roast and ground coffee. Sales here now top £1.5billion. Fairtrade internationally works with 1.4 million farmer and workers, though the advantages and influence extend far beyond that number, to their families, communities and local economies. Fairtrade now covers many more products, including cotton, lovely cosmetics, wine and rum, many fresh fruits, vegetables, nuts, dried fruit, rice and much more. Companies have shown they want the third-party certification of the Fairtrade Mark on their products; consumers have shown, recession or no recession, that they want the farmers who grow what goes into their shopping to receive a fair return in order to build better lives for their families. 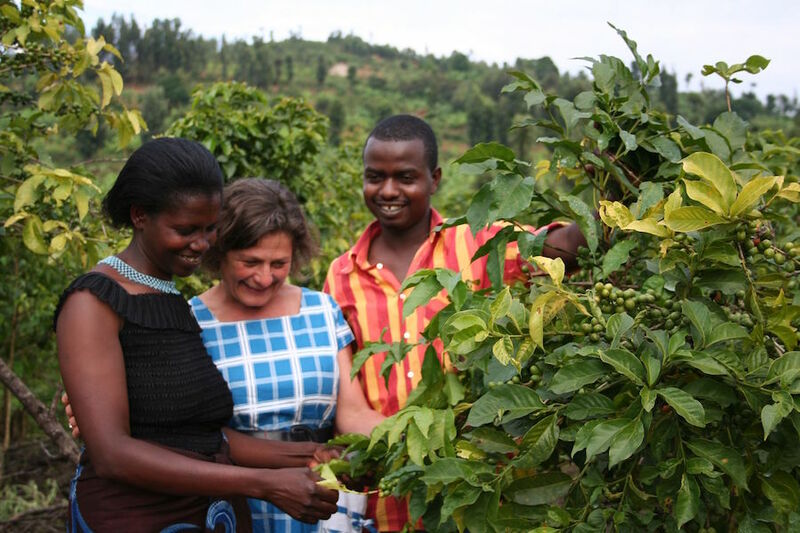 Research by the University of Gottingen with coffee smallholders in Uganda found that household living standards increased by 30% with Fairtrade. Research also shows us the problems – the work we need to do to reach women in particular, or to benefit workers on smallholder farms, or to make progress towards a living wage for tea-workers. And then there are the raw needs of those still far from Fairtrade. Last summer I visited small scale gold miners of Tanzania where, thanks to a grant from Comic Relief, we are just starting work. I have never been so shocked. Miners go underground for long, long shifts without proper protection, down shafts that without wooden supports can collapse. They mix mercury with dust with their bare hands and then burn off the mercury in the open. It is dangerous and gruelling and they earn less than a dollar a day; a modern scandal as they mine for the ultimate precious metal, gold. That is why we are as determined today to make Fairtrade work in gold as the pioneers were determined to bring their vision of Fairtrade coffee to reality. 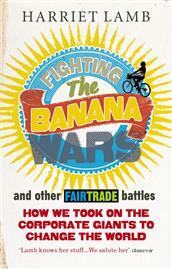 Harriet’s newly updated book ‘Fighting the Banana Wars and other Fairtrade battles’ is published by Ebury Press. To buy it click here.